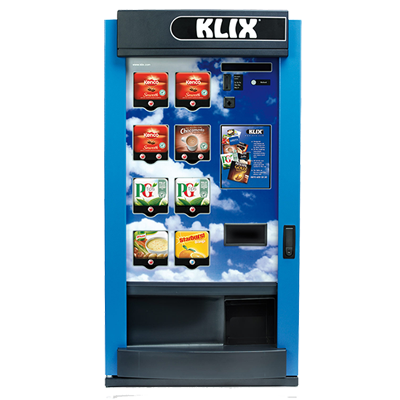 The Klix 450 has been intuitively designed using cutting edge technology to deliver a choice of hot and cold drinks consistently, reliably and easily. Consistent product quality is guaranteed through the innovative in-cup system which ensures you will only ever be presented with a perfect drink. The Klix 450 offers a flexible systems that can be tailored to your work place's individual needs. 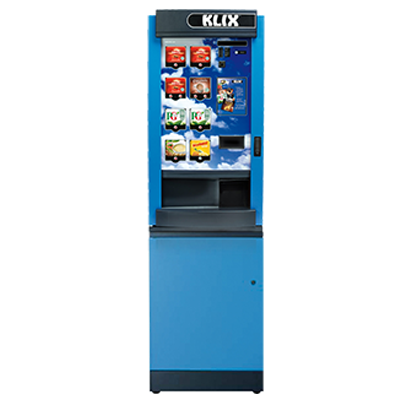 A leader in choice and variety, the Klix 450 is the perfect solution for the fast-paced and choice-hungry. The most compact drinks system from KLIX, proving that less is more. Proof that good things come in small packages, the Klix 450 sits neatly on a table top yet offers a generous 400-cup capacity and 8 drinks choice. Time efficient, reliably, and simple and easy to use, you can position the KLIX 450 just about anywhere.